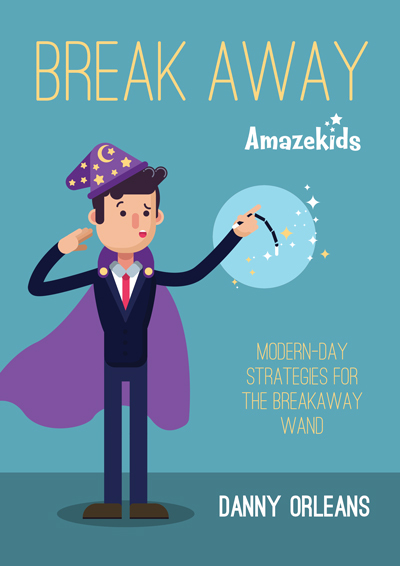 At AmazeKids, YOU GET THIS E-BOOK FREE when you order any Breakaway Prop from our site that is listed below as "products you may also like." Also included is how Canadian magician Donald Dunphy creates an opportunity for every child in his audience to handle the prop. You'll be surprised when you read the interview with Keith Fields, on the mistake that most magicians do when handling the Breakaway Wand, and you'll marvel at the creativity built into his routine with three wands. Break away from the traditional approaches from this time worn prop when you read and use the ideas in Danny Orleans’ e-book, Break Away.